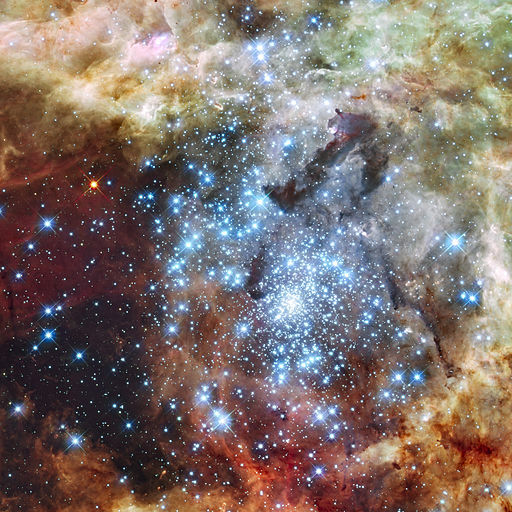 Star Light, Star Bright: Topical Series – What Is Starlighting? Ballroom is another world with its own rules and sometimes those rules are not explicitly stated and can cause confusion for people new to the hobby/activity/passion/obsession. For instance, people newer to ballroom may not have heard of the term “starlighting.” I guess it is kind of like the moonlighting my dad used to do as a radiologist when I was a kid. He would work extra hours at hospitals outside of his regular job to earn some extra money when he was a resident. In the ballroom context, “starlighting” is when a professional dancer accompanies his or her students out to social events, dance camp dinners, or other studio outings. Students will pay their pro, or chip in as a group to basically “rent” the company of their pro for an evening of dancing. The pro, in turn, will dance with the students who hired him during the course of the event. Outings may occur with many students at a particular studio and though they appear social, they have a specific start and stop time and pros will vacate the premises immediately after the event has come to an end. Outings are generally associated with a particular price and may occur at regular intervals at studios. One of the more confusing things that can happen as a newcomer to ballroom is that pros may not (and generally do not) ask students to dance unless they are their own students or they are friends with the students’ teacher. There are many reasons for this behavior. In the case of a “starlighted” event, the reason is obvious – the pro is “on the clock” with the students who have paid him to be there. (Pros can be female, of course, but the vast majority of competitive students are female, employing a disproportionate number of male professional dancers). Other reasons why pros may avoid dancing with students include the desire to not appear to be encroaching upon other pro’s students, or wanting to avoid angering their own students by paying attention to anyone else. Or, perhaps they are just plain tired of dancing and want a little break! But it creates an interesting dynamic, this “starlighting” thing. It creates the appearance of intimacy, which may or may not be genuine, and most definitely involves a business transaction. This can create confusion or even hurt feelings if both parties are not entirely clear about the nature of the relationship and transaction, or if there are unspoken assumptions of what an evening of “starlighting” will purchase. I think, for instance, payment a “Starlighting” pro compensates the pro for his or her time, energy, and dancing expertise, and it may also increase the amount of attention given to the student for the duration of the engagement. It might even make the student feel “special” for a while. If the pro views the “Starlighting” as a purely business venture but the student views it as a friendship or relationship things could get tricky. Open, honest communications about expectations and boundaries are always a good idea! Not all pros “Starlight” and most of the ones I’ve known to do it are independent instructors. I don’t know if pros employed the studios are allowed to “Starlight,” and I’ve never personally hired a pro for an event other than as my pro in a competition, but I think it could be a great option for a special occasion if I wanted to be sure I’d dancing all night. If you’ve had a “Starlighting” experience, I’d be curious to know how it went for you, if you liked it, if it was worth the investment. And what do you think about the idea of “Starlighting?” Does it seem like a cool thing to do, or is it a little off-putting? This entry was posted in Ballroom Topic Series and tagged ballroom, ballroom blog, ballroom dancer, ballroom dancing, dance, dancer, dancing, pro, pro dancer, professional, professional dancer, social event, star, starlight, starlighting, stars, transaction. The studio I go to does a monthly “after hours party” where students are invited out to a specific club for a window of time. So all the teachers show up and will dance with the students in an environment that is usually public. I haven’t gone in a while, but they’ve even done nights at karaoke bars. But yeah, at the end of the allotted time, all the teachers hightail it out of there. Usually most of the students tend to leave too and a place that was packed, suddenly just clears out. MizzSmartyPants, does the studio charge students to attend the event? Is it included in a package or is it pay as you go? Can you share the ballpark of the cost? How long do the events last? Can you bring friends? Do you like going to them when you choose to attend? Interesting. I’ve never heard of this before. But it makes total sense if you are a high level pro. My teacher usually comes with me to social events, but because we are a bit on a level playing field in the west coast swing community. (Same comp level…. I know, this community is funny.) Lord knows things would be different if I had to pay him to be my Strictly partner. Jen, it’s pretty common if you survey the room at say, City Lights or IGB – you can definitely tell that the pros are there because they are working, not because they’re hanging with their students. Down in the Bay Area, there are also nights like MizzSmartyPants mentions above, too. I dance at a franchised-studio. To my knowledge, there is no starlighting for individual students except as part of attending a competition. My studio offers occasional “night out” parties at off-campus dance venues, where all the teachers are usually present. You get to attend the parties as an incentive for buying a certain amount of lessons at certain times. It is a little awkward for the teachers – who are all young, hot and good dancers – when non-students at the club ask them to dance. They don’t want to be rude, but that means a student who paid for the event sits out that dance. My studio has a non-fraternization policy, which I really like. Teachers and students do not socialize outside of dance events – either studio-sponsored or competitions. Elininates hurt feelings or thinking that some students are more favored than others. Gives the teachers a life and social circle outside the studio, which even the most obsessed should have. 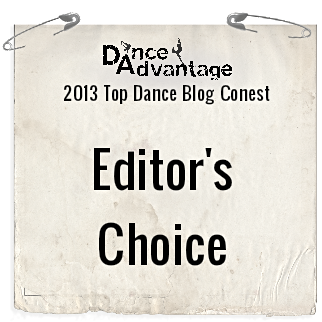 Isn’t one of the reasons we love dancing because we leave our work and personal issues at the studio door? You are right…dancing is one of the best things I can do for myself to get my mind off any stresses…it’s so effective and one of the only things that really works. I mean, you can’t worry about your job when you are struggling to keep up with the chroeography in class, or stretching your arms until they are numb, or breathing so hard you feel like you will faint. The dance floor is a great place to leave all that muck! Vickki et al. : I dance at a franchised studio too, and my situation is the same as yours. I would love to be able to “rent” an instructor to accompany me to certain non-studio parties where there will be dancing,but no can do. I wish there were legit businesses that match up good male dancers, not necessarily pros, with ladies who need a dancin’ date for an evening out. Maybe there are such businesses; does anyone know of one? 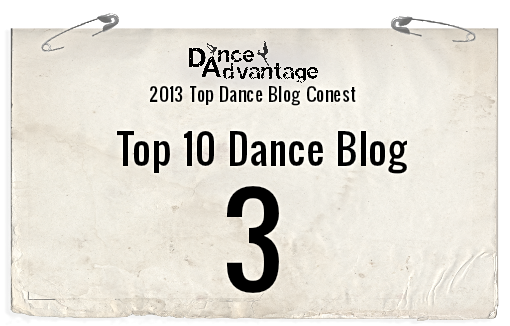 BTW: Huge congrats to Steph for having made the finals in the blog contest. I will try to be more supportive – been very busy as my school’s semester just got under way.